This is one of the most important steps. 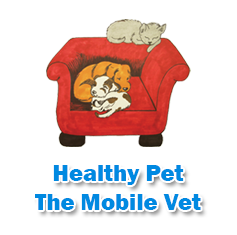 We will perform a complete physical exam from head to tail and discus information such as history, lifestyle/activity level, medical conditions and any concerns you may have about your pet. The state of Florida requires all pets (including ferrets) be vaccinated for Rabies. This may be a 1 or 3 year vaccine depending on vaccine history and age of pet. All other vaccines are tailored to your pet's lifestyle and age. We discuss the risks or benefits of the vaccines and devise a plan that will best fit your pet. We have an in-house lab for immediate results on cytology, urinalysis, intestinal parasite checks, heartworm test, Felv/FIV tests, and chemistry panels. If the results are not needed right away or if we need tests other than what is performed in house, we will send the sample out. The professional lab we use will pick up samples for routine blood work, complete blood counts, cytology, or biopsy on a daily basis. This cutting edge technology allows us to acquire vivid radiographs of your pet immediately. Most importantly, it is done right outside your home in our mobile clinic. We have available with us the medications that are needed for point of care and routine treatments. Also, you may click on the online pharmacy link on the right side of this page for more choices and the convenience of delivery right to your door. Dirty teeth can lead to tooth loss, mouth infections, heart valve problems or some secondary infections. We recommend brushing your pets' teeth at home but more advanced care might be necessary. We offer full mouth digital x-rays, cleaning and polishing, tooth extractions when needed, and plaque control. We are excited to bring you state of the art laser therapy which can help with everything from arthritis treatment to post surgical healing. This procedure is never just ROUTINE, your pet's well being is our number one priority. We don't take anesthesia or surgery lightly. Our well trained staff will make sure your pet is safe and comfortable. Your pet will recover in a safe warm environment and immediately returned to the comfort of your home. Making end of life decisions from your pet is difficult. We offer painless, stress-free sedation and euthanasia in the comfort of your pet's favorite spot.